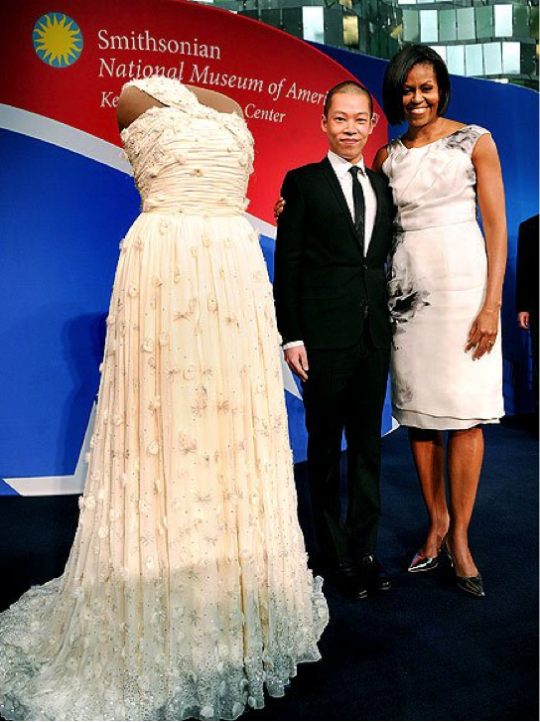 A year ago many may have wondered who is Jason Wu until January came and Michelle Obama decided to rock his one-strap ivory gown to wear at the inaugural ball. It’s inspiring how powerful choice can be and how much of an impact it can make on ones life especially Jason Wu’s. This trailblazing first lady went out of the fashion comfort zone and chose a designer she believed in. This is a prime example of how ones decision can affect the people around you, more importantly for the better. This amazing opportunity allowed Wu to make a name for him. Prior to this January night, Wu once had only six collections to his name, but now has been busy ever since consisting of flying to Tokyo, Paris, and London regularly. He says he cultivates to find ideas for his silhouettes and flirty fabrics both in fantasy figure. His new fall collection is based on the fairy-tale images of the late English illustrator Arthur Rackham—and real world women. However, our former first lady does not stop there opening up opportunities for people. Recently, she has donated two million dollars to summer job programs in Chicago, IL. This grants many the opportunity to seek summer employment if they had not seen it in their future prior. Thanks to Michelle Obama for seeing Jason Wu’s (as well as the Chicagoland area’s) potential and incredible talent to help endeavor the journey to do amazing things the fashion world! We can’t wait to see what’s next from this gifted designer. used products than new. What may be the reason of this particular trend? lifespan of the product, value, etc. specifically for resale luxury handbags such as; The RealReal, EBay, ThreadUp, Weisser, and WGACA. accessories as a gift, would you? Sweet Prima of The Week: Angelina Jolie, Happy Birthday! Commissioner for Refugees, philanthropist and humanitarian; Angelina Jolie. Sunday brought in this amazing actress’s 42nd birthday! Week’ according to her because she got to spend the whole week with her kids. legendary director Cecil B. DeMille (Hollywood’s first celebrity film maker). that will give you a run for your money. price of gold in the last 35 years making it more valuable than gold itself. high resale value due to scarcity. 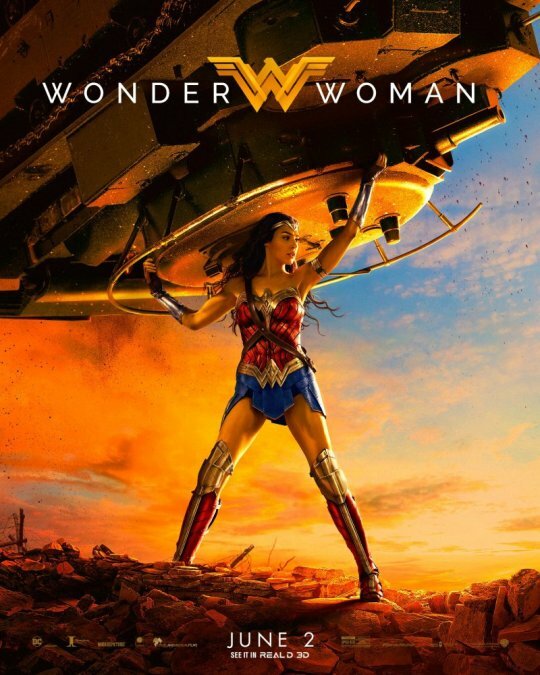 opinion on women all over the world and showing how tough we can be! 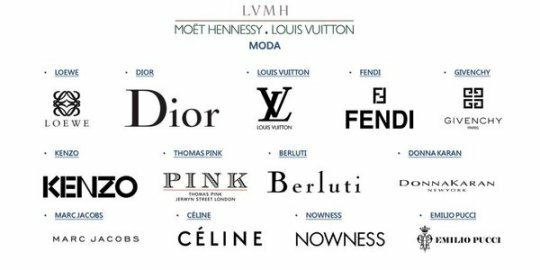 LVMH luxury empire acquired Dior for $13.1 billion in April 2017. This acquisition by Bernard Arnault is not only one of his largest ever but also reunites the Dior brand under one roof; after the Arnault family buys out the minority shareholders from Hermes International. Arnault and his family have 47% ownership of LVMH the notorious luxury empire. 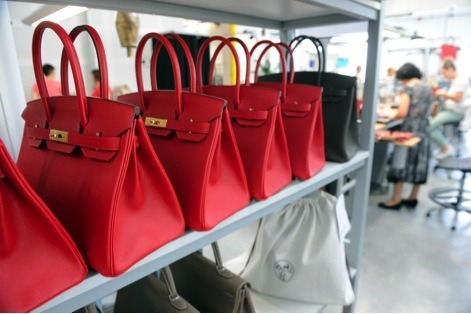 While it may seem that the conglomerate is just purchasing fashion brands at will, because it does also own Céline, Givenchy, Louis Vuitton, and Marc Jacobs, LVMH made the acquisition a symbiotic transaction. The Dior stock price rose 13% and the LVMH 4.9%, in the Paris trading, shortly after the merger. With the consolidation of the brand under the LVMH umbrella, Dior will have more access to financing for stores and marketing subsequently making it easier to move talent between different arms of the brand. The acquisition by LVMH also shows the corporation’s International relations knowledge. Because Arnault has confidence in the French economy, he is excited about the growth of the synergies between Dior and LVMH. Mergers like these allow luxury retailers to increase their presence in markets, compete with growing competitors, and stabilize and increase their finances, therefore increasing available opportunities. Mergers also save struggling brands and give them a second opportunity to compete for the crown. As the fashion industry become tougher to compete, brands need every advantage they can afford, and mergers are one solution to become a better competitor. Cher is undoubtedly one of the most iconic women in the entertainment industry to ever exist, backed by four decades of world recognition. Her climb to stardom starts at the young age of 17 when she meets Sonny at Aldo’s Coffee Shop. 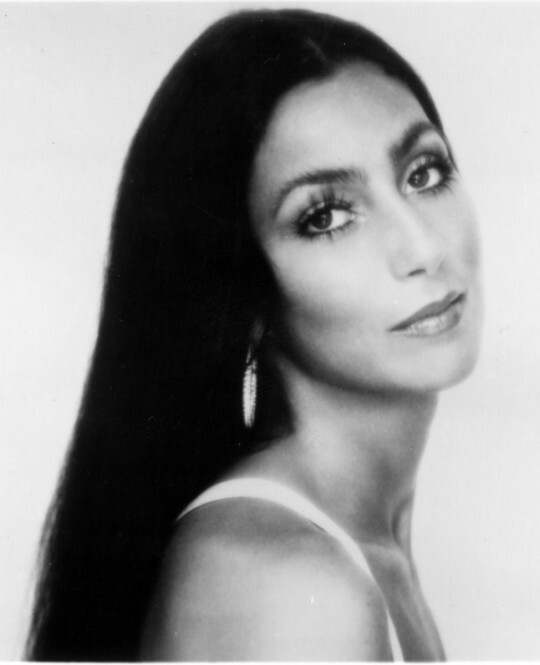 The platonic relationship morphed into a confession of love by both after Cher’s mother discovered their arrangement. Sonny and Cher then excelled their world-wide success with the song “I’ve got you babe,” and later “The Beat Goes On” and “Baby Don’t Go.” Soon after her first daughter, Chasity, was born, Cher’s marriage started to break down because Chasity was affected negatively by the intense spotlight and the family became hectic and unstable. The marriage ended and Cher knew she made a mistake, but continued on to support her daughter and her career. She then met Greg Allman, of whom she became pregnant. Allman’s addiction to heroin and alcohol ended their marriage quickly and Cher became an unemployed 33-year old single mother. Still determined to support her family and have a successful career, Cher started along side Meryl Streep in “Silkwood.” Those who initially criticized her were soon silenced by her Oscar nomination for her performance in “Moonstruck.” By 1987 Cher was so demanded she had three simultaneous films, “The Witches of Eastwick,” “Suspect,” and “Moonstruck,” and at age 41 and 25 years in the show business Cher was at the top, something unexpected for a woman her age. Chasity’s announcement that she was lesbian at first shocked Cher, but then Cher soon learned to accept her daughter for who she is. Sonny’s shocking death in January 1998 made Cher deeply remorseful as evident by her eulogy at his funeral. She bounced back quickly and at 53 Cher was back at number one of the American Top 40 for four consecutive weeks. Now the oldest female to have the number one spot, Cher also was the longest Billboard No. 1 from 1965-99. After more album releases and her world tour The Farewell Tour, which lasted much longer than most expected, most would think Cher would slow down, but not she signed a deal for 200 shows at the Colosseum at Caesars Palace in 2001. Still working on albums and shows to this day Cher embodies what it means to be a woman determined to succeed and break boundaries. Iconic, unstoppable, and unrelenting are just some of the words to describe the amazing woman that is Cher.